Classic sports design with date, weather and pedo info. Secondary screens with stopwatch, calendar etc. 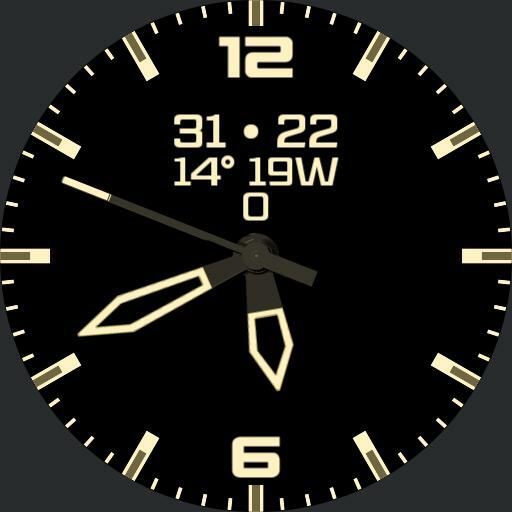 Date info is rotating to avoid overlap from clock hands.